There is not a spare inch wasted in the Mercados! Every possible location is covered with someone selling something. 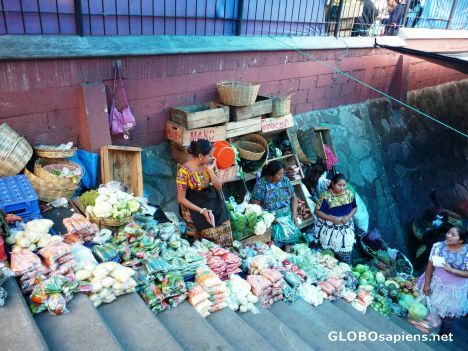 Here a group of women are selling vegetables on the stairs.